Berthe Morisot, once dismissed with her fellow Impressionists as a “lunatic” by a contemporary critic, is now the subject of an international touring exhibition that confirms her singular contribution to the movement. After seeing it, New Yorker art critic Peter Schjeldahl concluded that she was “the most interesting artist of her generation.” This 180-degree swing in critical appreciation over time is by now familiar—mocked then and later adored—especially with the Impressionists. 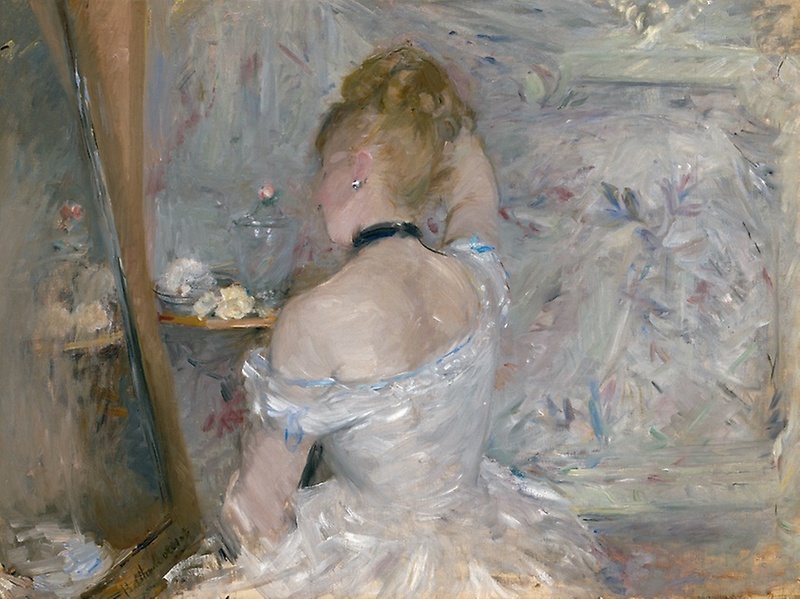 An upper class Parisian woman, Morisot could not paint the cabarets, racetracks, and cafés that her male colleagues depicted. Though her subject matter was limited to the domestic realm, she was radical in her bold approach to painting. 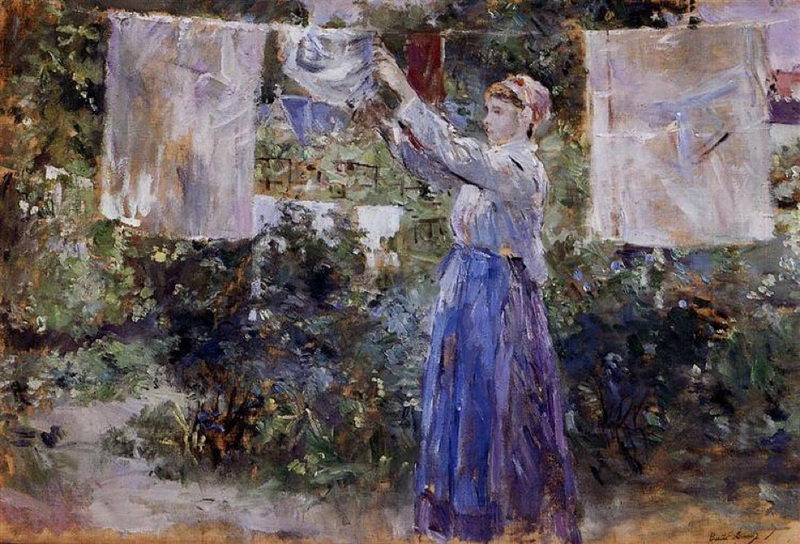 Her slashing brushwork and sophisticated color animated scenes of women reading or getting ready to go out for the evening, a maid hanging up the laundry, and children in the garden, for example. 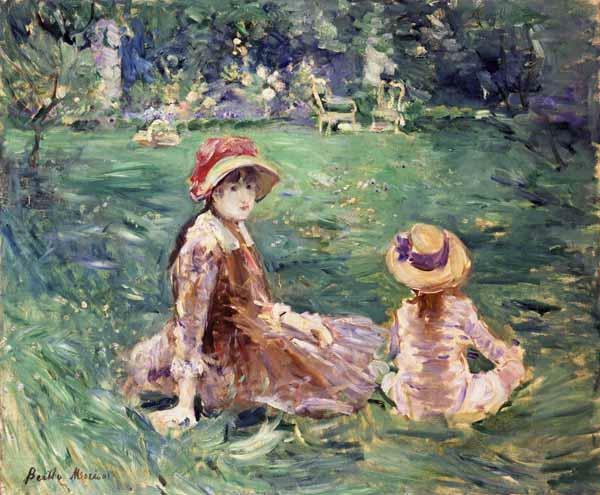 Morisot exhibited her paintings in all but one of the eight Impressionist exhibitions between 1874 and 1886. In the 1890s her style changed. Her angular brushwork, which in the ’70s and ’80s had created a kind of vibration between figure and background, relaxed. Contour and outline now fixed the figure in place, as in the Seattle Art Museum painting of a young pianist looking up from her practice to pose. The slowed-down brushwork and blue palette contribute to a melancholy quality, which is typical of Morisot’s work in the ’90s and perhaps influenced by the new Symbolist movement practiced by Edvard Munch, Paul Gauguin, and her friend the poet Stéphane Mallarmé. Berthe Morisot died of the flu in 1895 at the age of 54. During her lifetime she sold no more than 40 works out of over 400 paintings. The exhibition Berthe Morisot/Woman Impressionist, shown in Quebec City, Philadelphia, Dallas, and Paris, will introduce her to many new fans. 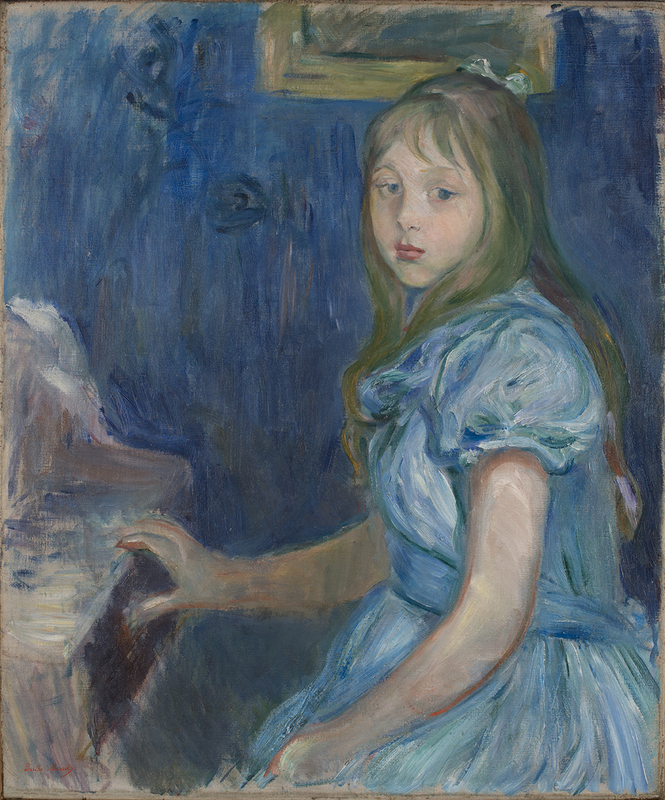 Image: Lucie Léon at the Piano, 1892, Berthe Morisot, oil on canvas, Overall: 38 x 33 in., Image: 24 3/4 x 20 1/2 in., Gift of Mr. and Mrs. Prentice Bloedel, 91.14.